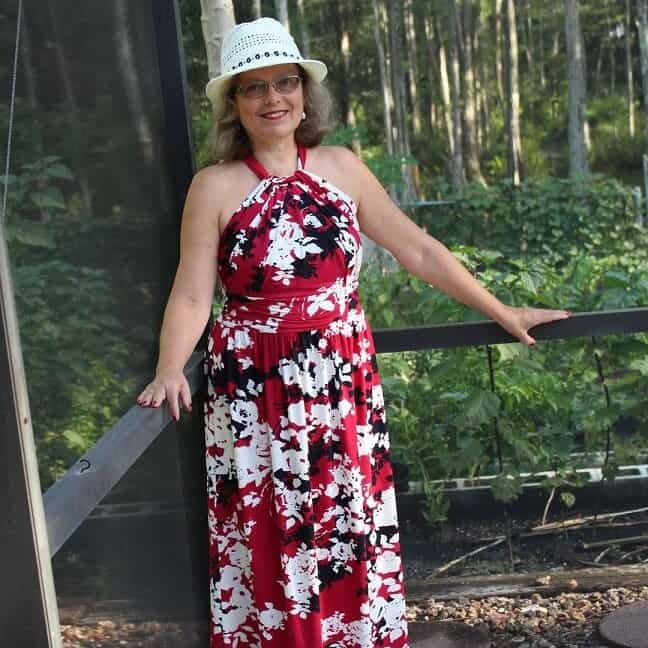 In all my years of sewing, I’d never worked with a stretchable thread for a regular sewing machine, but it was recommended in a BurdaStyle sewing tutorial I recently took: Sew-Along: Knit Maxi Dress with Meg Healy. 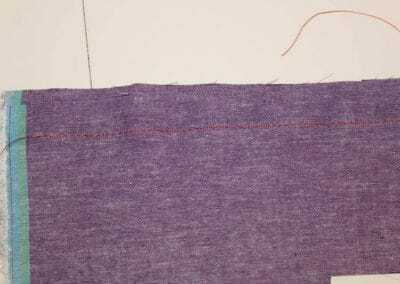 Yes, I used a stretchy thread before (it’s called wooly nylon) but it can be used only in upper and lower loopers of my serger for seams, rolled hems and edges. So, I bought this stretchable thread for a regular sewing machine called Eloflex (from Coats) right away and started to sew a dress from Burda Style magazine ( 04/2017) Meg Healy had recommended. Here is my review of this wonderful thread. What do I like about this Eloflex thread? First obvious plus is that the thread can be used in a regular sewing machine with just regular straight stitch function. 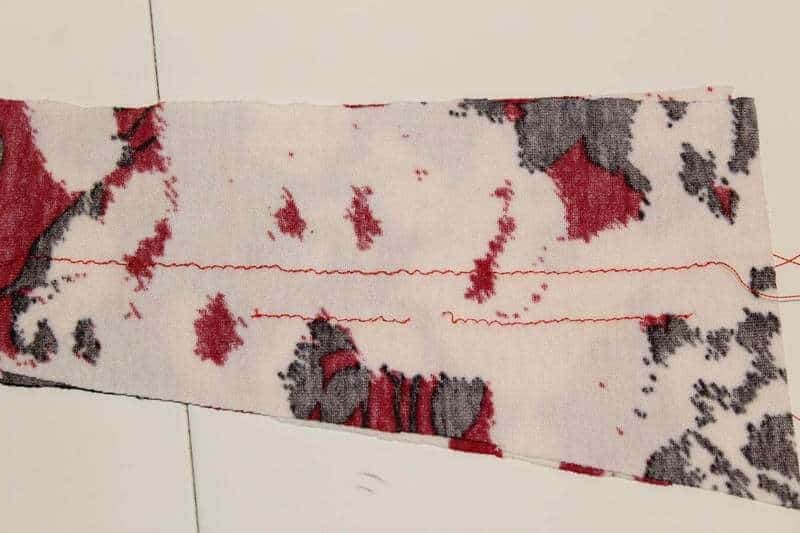 Special stitches (like small zigzag) or a serger are not required to sew knits or stretchy woven fabric with elastane. 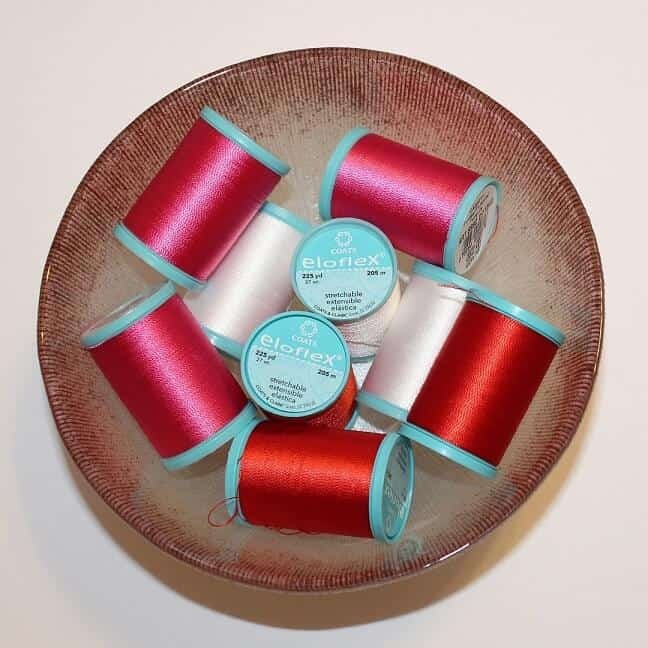 Just wind the bobbin with Eloflex thread and use the thread both in the needle and the bobbin to sew stretchy fabric. I tested it with a few different fabrics: woven cotton with elastane, woven natural silk with elastane, knit 100% cotton. It works like a charm. Stretch stitches of your sewing machine can be used with Eloflex also, by the way. 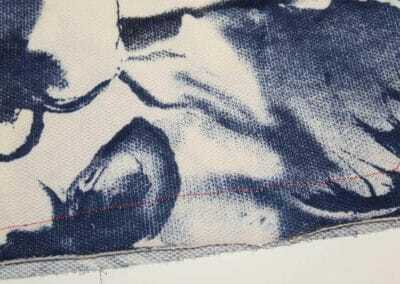 It actually makes the seams even stronger and improves the recovery of the fabric after it was stretched. Below there are images of fabrics I tried to sew with Eloflex thread. If you click on the image with your mouse it will allow you to view photos center-stage in a larger format. Eloflex thread is quite strong and it expands with the fabric so seams on those fabrics I used don’t pop out when stretched. I haven’t had any breakage, despite giving it a sharp tug a few times, just to test it. The thread has a nice sheen and the variety of colors is great. It has quite the useful latch to hold thread in place when in storage so it will not mix with other threads in my sewing box and make a mess. The thread is very smooth. It has no unevenness or weak areas and is quite durable. I noticed also a few things that I don’t like about this thread. Well, nothing is perfect, right? And if you know some cons that I discovered you will be just more careful in using the thread. The thread didn’t work well with very stretchy knits. Yes, it is strong and stretches quite well, but up to a point. I made this maxi dress from Meg’s tutorial and wore is twice and few seams have the popped out thread already. 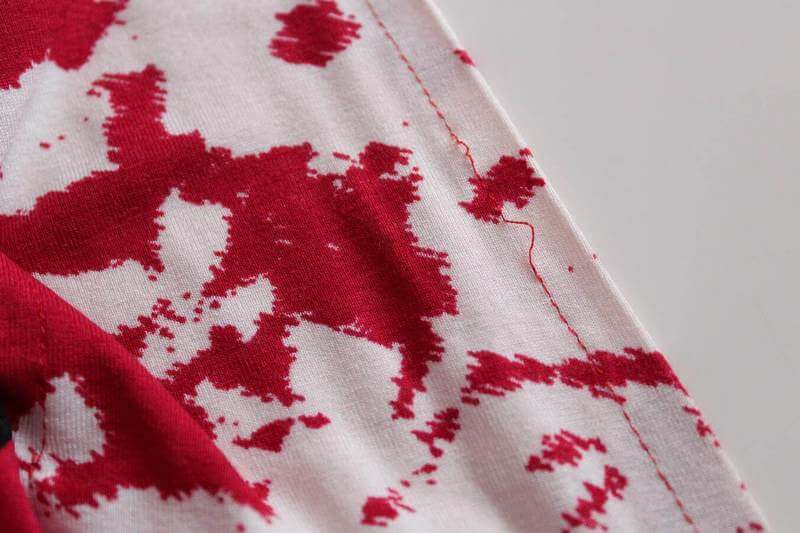 When I was sewing the dress using a very stretchy viscose fabric with Eloflex thread my Janome Memory Craft 6600 (which is an extremely nice sewing machine) couldn’t handle it properly. I suppose to use a ball point (or stretch, jersey) needle for sewing stretchy fabric. My machine completely refused to sew the Eloflex thread with ball point needles, and I tried 3 different kinds and brands. 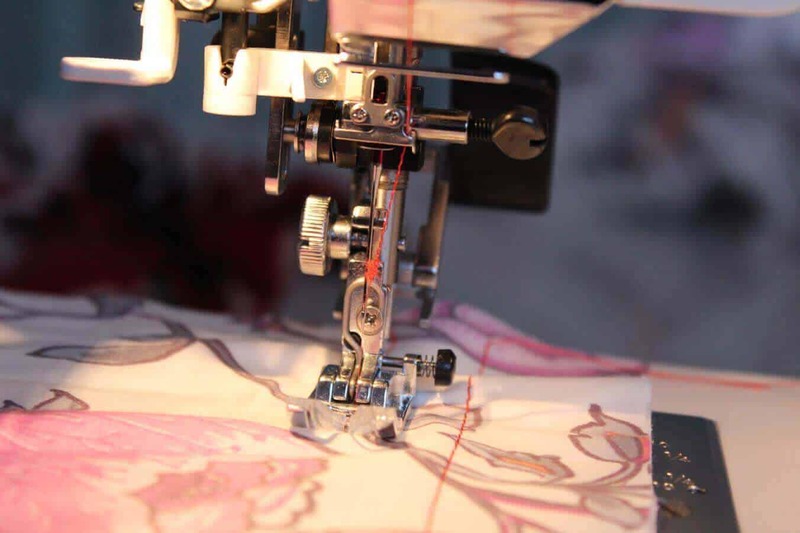 It is quite surprising because other people who have sewn with Eloflex thread used ball point or stretch needles. The thread kept fraying in my sewing machine and then missing stitches. Bunching happened and I needed to rethread. 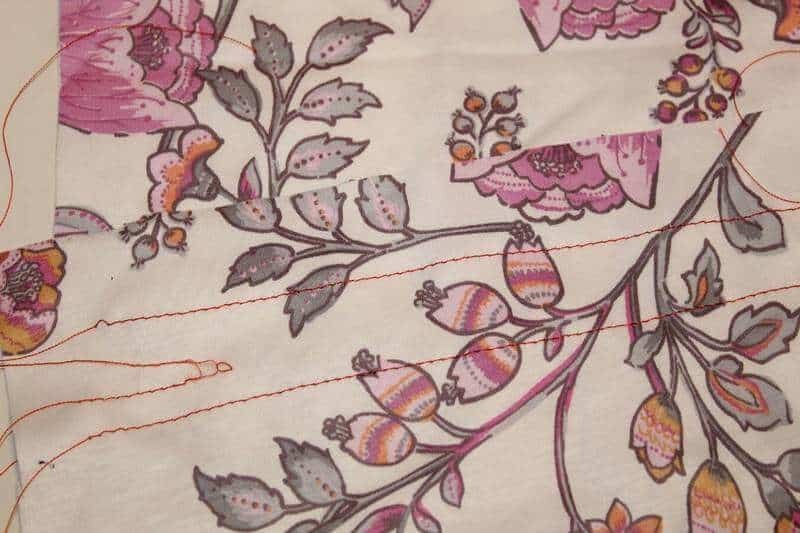 I never could use Eloflex thread with the ball point needles on my Janome. So I tried just regular needles 80/12 and 90/14 which handled it beautifully. And I didn’t have any problems sewing except having small holes in my knits which is not really good. This Eloflex thread from Coats is very nice innovation in sewing stretchy fabric. Use it where appropriate – and you will love it. Where to buy Eloflex thread? * NOTE: This article contains affiliate links. Meaning, if you purchase the Eloflex thread after clicking through these links, I will make a small commission which will help me to cover some costs to maintain this blog. 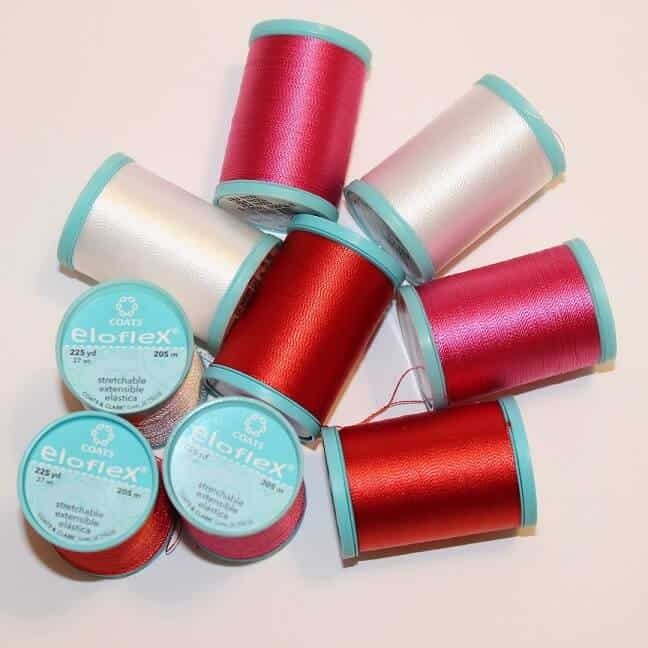 The situations that are frustrating, when the thread is fraying, bunching and twisting, what about using eloflex just in the bobbin, and another type of thread for the needle thread? Would that give some of the stretch benefits without the frustration? I have had the same troubles. I am a beginner with knits, and hoping a more experienced person would do some experimenting? I don’t think using eloflex thread just in the bobbin is a good idea. 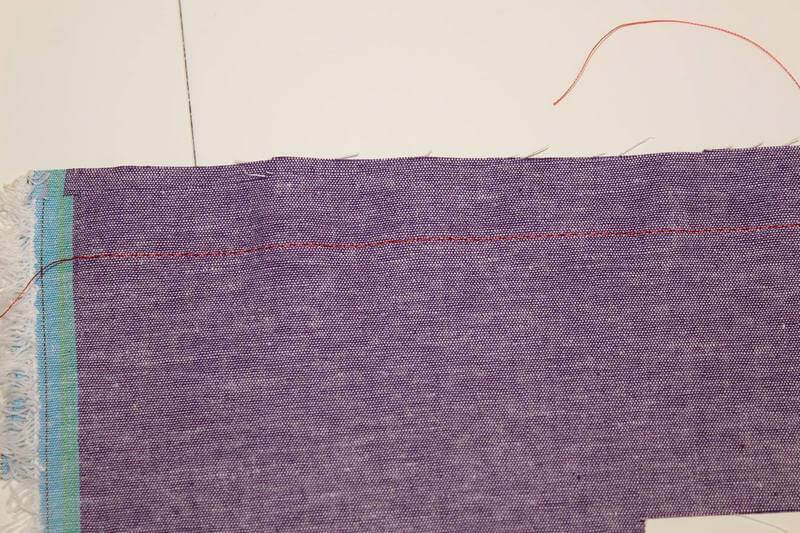 In this case, threads will stretch differently and the seam will not look nice. I think it is always better to use the same type of threads in the bobbin and in the needle. But anyway, we can always try it on scrap fabric, right? I will try it tonight and come back to you. I sew a lot with knits and love to use knit fabric very much. But most of the time I use a serger to sew knits. It is much faster and the seams stay stretchy even with regular threads. Eloflex is good for not very stretchy knits (like cotton knits for example). Do you have Pinterest account? I have a board on Pinterest about sewing knits. 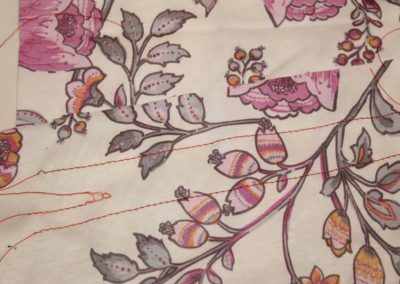 Here is the link https://www.pinterest.com/ageberry/sewing-knits/. There is very interesting information there about sewing knits (from different bloggers). I had the same problem using this thread with bathing suit spandex. Fraying, breaking and skipping stitches. I don’t thing it is good at all for this application. I will keep on using my serger with regular thread. 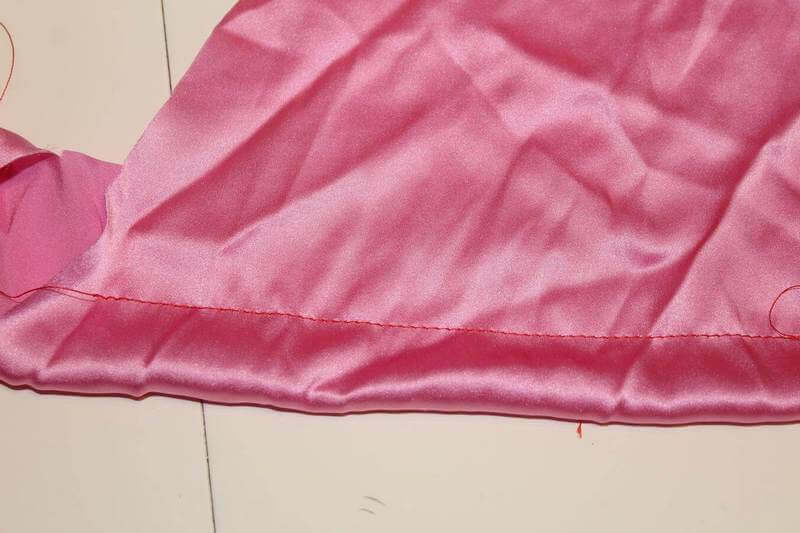 Yes, this thread is certainly not good for spandex because the fabric is very stretchable. 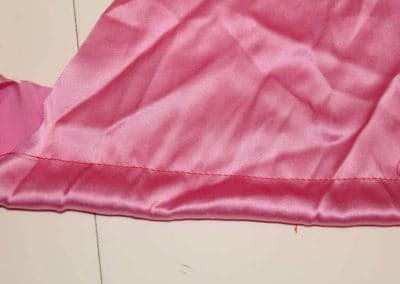 It’s better to sew bathing suits with a serger, you may use regular thread in your serger but what about woolly nylon thread in the serger instead of just regular thread? I would use woolly nylon thread for sewing bathing suits. As for the Eloflex, I think it’s really good for wooven and knit fabrics that are stretchable but don’t have lots of stretch in them. 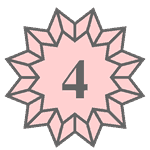 My name is Aly and I would like to know if you would have any interest to have your website here at ageberry.com promoted as a resource on our blog alychidesign.com ?